JULIAN STATION: Julian Hard Cider NEW Tasting Room is Open! Julian Hard Cider NEW Tasting Room is Open! 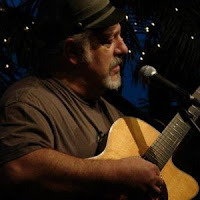 Alan Land will be playing this Sunday on the back patio from 1-4 pm. While you're here, take a peak into the NEW Julian Hard Cider location next door to Mr. Manitas. We're excited about their bigger and better tasting room! Live music from Alan Land! Music goes from 1-4pm every Sunday, year round.